After having spent my whole Saturday outside in the sun in RL..I was looking forward to another sunny, summerday today – as promised by the weatherman. Alas……It is a grey and dull day and it is chilly too! Meh. So much for Dutch summers! So, instead of lounging in the sun, I visited Grollwerk Island! 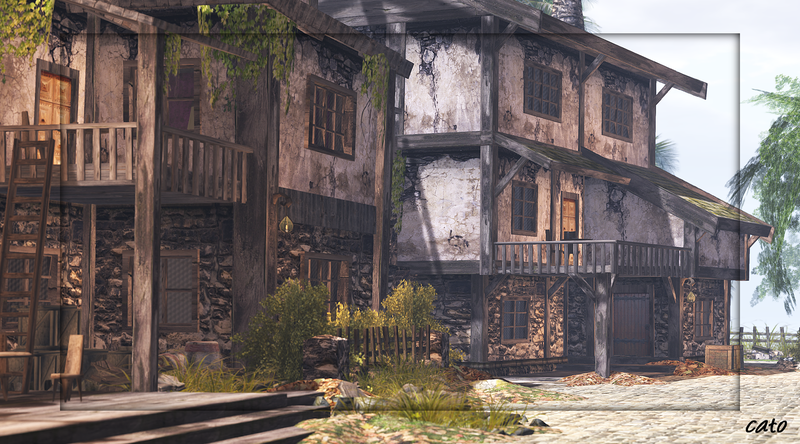 Grollwerk Island is the home of the mainstore of Grollwerk, specialized in fantasy avatars and armors. 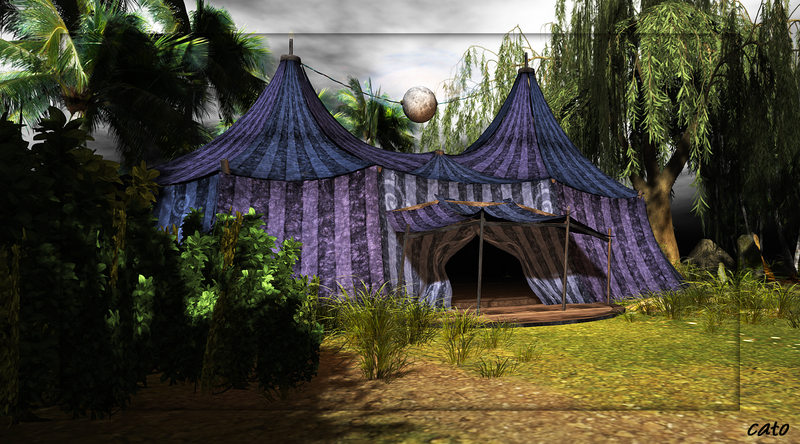 You land in the store, a huge place filled with containers with the most amazing, and sometimes creepy!, avatars and outfits. You leave the shop via the Groll Inn, and then you end up outside in a wonderful place. 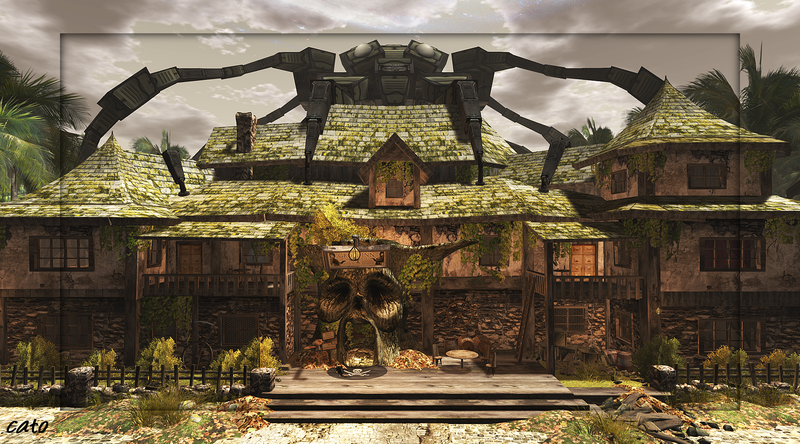 Only then you will see the shop and the Groll Inn are covered, or guarded, by a gigantic mechanical spider! The buildings are delightful and it is a wonderful place to wander around and explore! The best part of my day is coming to your blog and seeing how magnificent SL truly is.. I’m so glad you take the time to do this, otherwise I’d miss a lot of SL awesomeness.